Whichever reasoning processes and research methods were used, the final conclusion is critical, determining success or failure. If an otherwise excellent experiment is summarized by a weak conclusion, the results will not be taken seriously. Success or failure is not a measure of whether a hypothesis is accepted or refuted, because both results still advance scientific knowledge. Failure lies in poor experimental design, or flaws in the reasoning processes, which invalidate the results. As long as the research process is robust and well designed, then the findings are sound, and the process of drawing conclusions begins. The key is to establish what the results mean. How are they applied to the world? Generally, a researcher will summarize what they believe has been learned from the research, and will try to assess the strength of the hypothesis. Even if the null hypothesis is accepted, a strong conclusion will analyze why the results were not as predicted. While this is certainly a humorous put-down, it also points to the value of the null hypothesis in science, i.e. the value of being “wrong.” Both accepting or rejecting the null hypothesis provides useful information – it is only when the research provides no illumination on the phenomenon at all that it is truly a failure. In observational research, with no hypothesis, the researcher will analyze the findings, and establish if any valuable new information has been uncovered. The conclusions from this type of research may well inspire the development of a new hypothesis for further experiments. However, very few experiments give clear-cut results, and most research uncovers more questions than answers. The researcher can use these to suggest interesting directions for further study. If, for example, the null hypothesis was accepted, there may still have been trends apparent within the results. These could form the basis of further study, or experimental refinement and redesign. Question: Let’s say a researcher is interested in whether people who are ambidextrous (can write with either hand) are more likely to have ADHD. She may have three groups – left-handed, right-handed and ambidextrous, and ask each of them to complete an ADHD screening. She hypothesizes that the ambidextrous people will in fact be more prone to symptoms of ADHD. While she doesn’t find a significant difference when she compares the mean scores of the groups, she does notice another trend: the ambidextrous people seem to score lower overall on tests of verbal acuity. She accepts the null hypothesis, but wishes to continue with her research. Can you think of a direction her research could take, given what she has already learnt? Answer: She may decide to look more closely at that trend. She may design another experiment to isolate the variable of verbal acuity, by controlling for everything else. This may eventually help her arrive at a new hypothesis: ambidextrous people have lower verbal acuity. The researcher will then evaluate any apparent problems with the experiment. This involves critically evaluating any weaknesses and errors in the design, which may have influenced the results. Even strict, 'true experimental,' designs have to make compromises, and the researcher must be thorough in pointing these out, justifying the methodology and reasoning. For example, when drawing conclusions, the researcher may think that another causal effect influenced the results, and that this variable was not eliminated during the experimental process. A refined version of the experiment may help to achieve better results, if the new effect is included in the design process. In the global warming example, the researcher might establish that carbon dioxide emission alone cannot be responsible for global warming. They may decide that another effect is contributing, so propose that methane may also be a factor in global warming. A new study would incorporate methane into the model. What are the Benefits of the Research? The next stage is to evaluate the advantages and benefits of the research. In medicine and psychology, for example, the results may throw out a new way of treating a medical problem, so the advantages are obvious. In some fields, certain kinds of research may not typically be seen as beneficial, regardless of the results obtained. Ideally, researchers will consider the implications of their research beforehand, as well as any ethical considerations. In fields such as psychology, social sciences or sociology, it’s important to think about who the research serves and what will ultimately be done with the results. For example, the study regarding ambidexterity and verbal acuity may be interesting, but what would be the effect of accepting that hypothesis? Would it really benefit anyone to know that the ambidextrous are less likely to have a high verbal acuity? However, all well-constructed research is useful, even if it only strengthens or supports a more tentative conclusion made by prior research. The final stage is the researcher's recommendations based on the results, depending on the field of study. This area of the research process is informed by the researcher's judgement, and will integrate previous studies. For example, a researcher interested in schizophrenia may recommend a more effective treatment based on what has been learnt from a study. A physicist might propose that our picture of the structure of the atom should be changed. A researcher could make suggestions for refinement of the experimental design, or highlight interesting areas for further study. This final piece of the paper is the most critical, and pulls together all of the findings into a coherent agrument. The area in a research paper that causes intense and heated debate amongst scientists is often when drawing conclusions. Sharing and presenting findings to the scientific community is a vital part of the scientific process. It is here that the researcher justifies the research, synthesizes the results and offers them up for scrutiny by their peers. As the store of scientific knowledge increases and deepens, it is incumbent on researchers to work together. Long ago, a single scientist could discover and publish work that alone could have a profound impact on the course of history. Today, however, such impact can only be achieved in concert with fellow scientists. 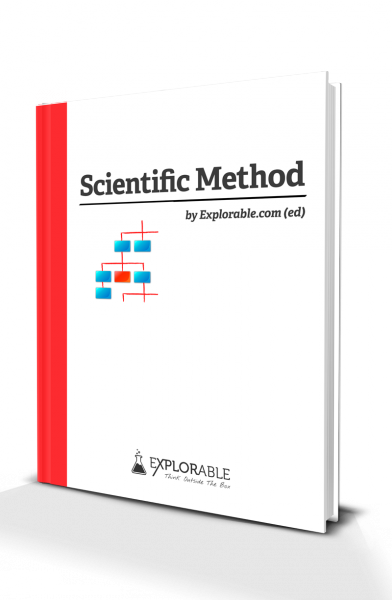 The key to drawing a valid conclusion is to ensure that the deductive and inductive processes are correctly used, and that all steps of the scientific method were followed. Even the best-planned research can go awry, however. Part of interpreting results also includes the researchers putting aside their ego to appraise what, if anything went wrong. Has anything occurred to warrant a more cautious interpretation of results? If your research had a robust design, questioning and scrutiny will be devoted to the experiment conclusion, rather than the methods. Question: Researchers are interested in identifying new microbial species that are capable of breaking down cellulose for possible application in biofuel production. They collect soil samples from a particular forest and create laboratory cultures of every microbial species they discover there. They then “feed” each species a cellulose compound and observe that in all the species tested, there was no decrease in cellulose after 24 hours. They conclude that there are no microbes that can break down cellulose. They conclude that the sampled microbes are not capable of breaking down cellulose in a lab environment within 24 hours. They conclude that all the species are related somehow. They conclude that these microbes are not useful in the biofuel industry. They conclude that microbes from forests don’t break down cellulose. Answer: The most appropriate conclusion is number 2. As you can see, sound conclusions are often a question of not extrapolating too widely, or making assumptions that are not supported by the data obtained. Even conclusion number 2 will likely be presented as tentative, and only provides evidence given the limits of the methods used.